I love shrimp as much as Bubba. 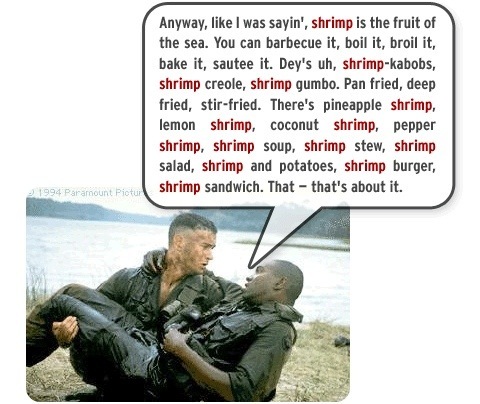 If you’ve never seen Forrest Gump, it means that I freaking love shrimp. I could eat it every day with every meal and NEVER get tired of it. Every time something big happens in my life, a family member will boil some up for me and we celebrate together. Who needs cake when you have a delicious platter of shrimp. Any person who loves a specific type of food can read this without laughing, but some of my fondest memories in life somehow involve shrimp. When I was quite young my parents would take my brother and I out to a restaurant once a week or so and I’d always be hoping and praying for Red Lobster. Not just because I could order the same thing every single time (boiled shrimp on ice with cocktail sauce), but because they would let my brother and I pick a toy from the treasure chest. I had one of every toy in that box. Those are memories I’ll carry with me forever. It’s been many years since I’ve been to a Red Lobster, but I’d much rather have it at home anyways. In my teens I spent a lot of time in the summer at the family cottage. On Fridays after his work, my uncle would stop at Gus’s Lobster Trap before leaving town and bring fresh shrimp for the two of us. We’d go out on his boat and fish or water ski. Then come back to shore, we’d feast and lie to everyone about the fish we caught. My uncle has since passed away, but every time I drive past Gus’s or go fishing I remember how much fun I had hanging out with him, and how perfect his boiled shrimp was. I wish I’d asked him what his secret was, that was the best shrimp I’d ever had. Last Christmas I bought a plush doll of Pepe The King Prawn for my wife. She said it was probably more for me than for her, she was right. Although we both find that little muppet to be hilarious. I have not yet read his book, though I’m sure it’s going to be on my bookshelf very soon…(that’s a hint to anyone who is looking for a gift for me in the future haha). Last year She and I went on a trip to Florida with her parents and grandmother. My plan was to consume as much seafood as I could in the two weeks we were there. Most of the food I got was prepared unlike any others I’ve tried. I had never tried blackened fish or shrimp before. Now I’m addicted. Kat even bought a can of the seasoning from the grocery store and I have it every time I make shrimp at home. Sorry…every time Kat makes me shrimp at home. She’s the best. We went a place called the Dolphin View Restaurant in New Smyrna Beach Florida, I ordered….guess….blackened shrimp and fries. JB’s Seafood Shack….blackened shrimp and fish. The Garlic Italian Restaurant…..shrimp and scallop linguini. Beef O’Bradys Pub….fish and chips with shrimp on the side. I had been transported to seafood heaven for two weeks. Every meal I ordered there was beyond good, it was like a dream. 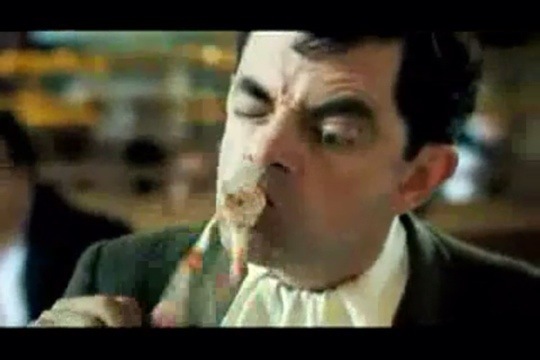 I had never eaten more in one sitting than at the Garlic. The kind of full where you have to breathe lightly. It was so good that I ate what everyone else couldn’t finish, then ordered desert. But the best part was sharing it with my wife. She was now part of my fondest seafood memory of all. It was sad to have to leave Florida, but we’ll go back for sure. She even wrote a blog post about one of her new nail polish colors, Cajun Shrimp. When she wears it I get hungry. I love shrimp, fried food, and Chinese food. 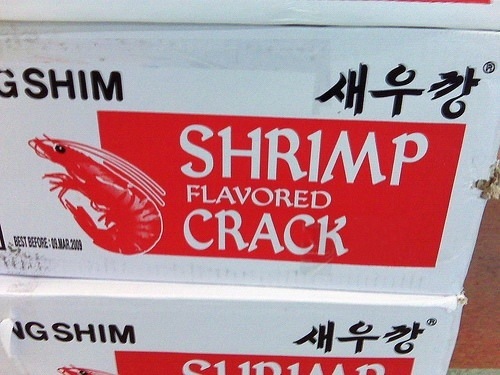 When you mix all those things together you get shrimp flavored crack. The Chinese restaurant down the street offers these tasty treats, I can’t get enough of them. I don’t really have any great memories of these, but they make a great snack at 3am after a long night. So there you have it. Some of the memories I’ll carry with me for life with a side of shrimp. 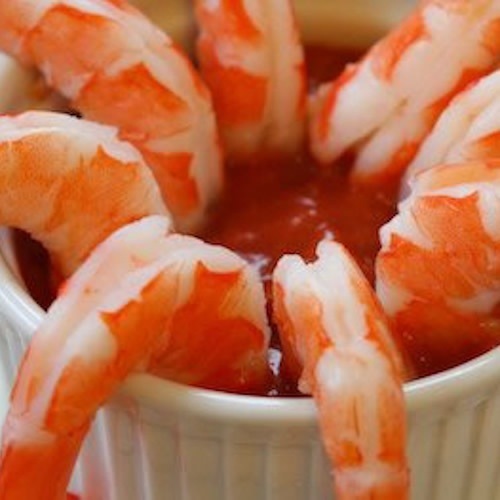 Even some of my favorite movies involve shrimp. Forrest Gump, Tommy Boy “why do they never de-turd these things?”, Mr. Beans visit to the restaurant. I think that no matter how good food is, it’s never as good as food that brings back great memories. That’s why the dinner table makes so much sense, you can sit with the people you care about and share a lot more than just food. A big thanks to anyone I’ve ever eaten shrimp with. 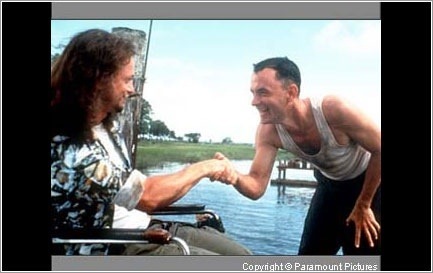 You are my friend forever, like Forrest and Lieutenant Dan. Yes you did, that’s why you’re the best and I love you more. This is a very personal post! I like cooking, eating, sharing… and I know exactly what you’re trying to say. Like the post…good job! When I saw the ‘Nong Shim Shrimp Flavor Crackers’ I literally exclaimed “OH MY GOD!” out loud because I love those things. 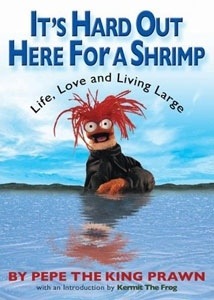 ” It’s hard out here for a Shrimp” still has me dying laughing! If you are EVER in Chinatown, Los Angeles you have to go to Yang Chow on Broadway + get their famous slippery shrimp. No joke. It’s so good, it’s famous. very good post, I too miss spending quality time with a familiy member. 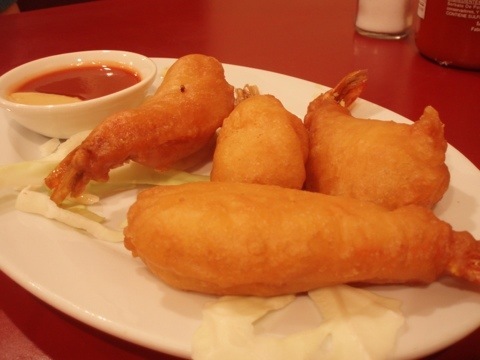 i am such a crazy about shrimp fry with ice-cream and excited to see the page that how to explain this. It looks like that Chinese restaurant serves a fast food version on Tempera shrimp. I make my own tempera batter and enjoy shrimp and prawns. You may enjoy looking into and experimenting with a recipe. Pingback: Done, done and done « Enter, Fitness!